Do you want to rent out your house or are you looking for a rental property? In both cases you are at the right place at 072wonen! 072wonen is THE specialist in rental of living space! For more than 10 years, our (rental) brokers have been doing their utmost to help you find a suitable tenant for you as the owner of living space, or for you as a seeker in finding new living space. In addition to managing rental properties, we also sell properties. We are also active as a rental and purchase broker for expats who come to work for international companies. 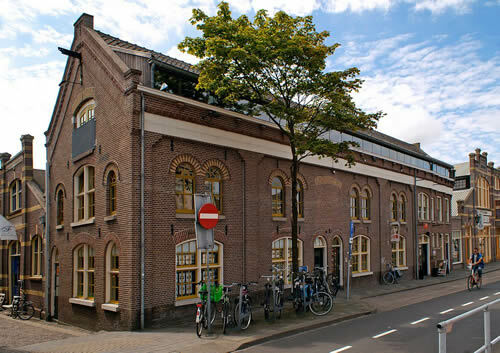 Our office in Alkmaar is located in a historic building on the Kanaalkade, near the famous Waagplein. Our working area is Noord-Holland-Noord, but we are mainly active in the Alkmaar, Heerhugowaard, Bergen, Schoorl, Heiloo, Castricum and Egmonden regions. 072wonen is a member of branch organization VBO real estate agent. Follow our Facebook pagina for the latest news or follow us on Twitter for the latest offers. Are you looking for a studio, a house, an apartment or a detached villa, in the Alkmaar region or in Noord-Holland Noord? Then you are at the right place at 072wonen. Are you considering renting out your property? 072wonen mediates in all types of rental properties. Whether you want to rent a studio, an apartment, a family home or a detached villa, we are ready for you! You are out, you are going to buy a home in Alkmaar or surroundings. When buying a home it is important that you engage a buying agent. After all, you don't buy a house every day. We can support you with the purchase of a property! You can also sell your (rental) home through 072wonen. We have an extensive network of investors who purchase properties for rental as an investment. But you can also 'just' sell your home through 072wonen. We work with a competitive fee!